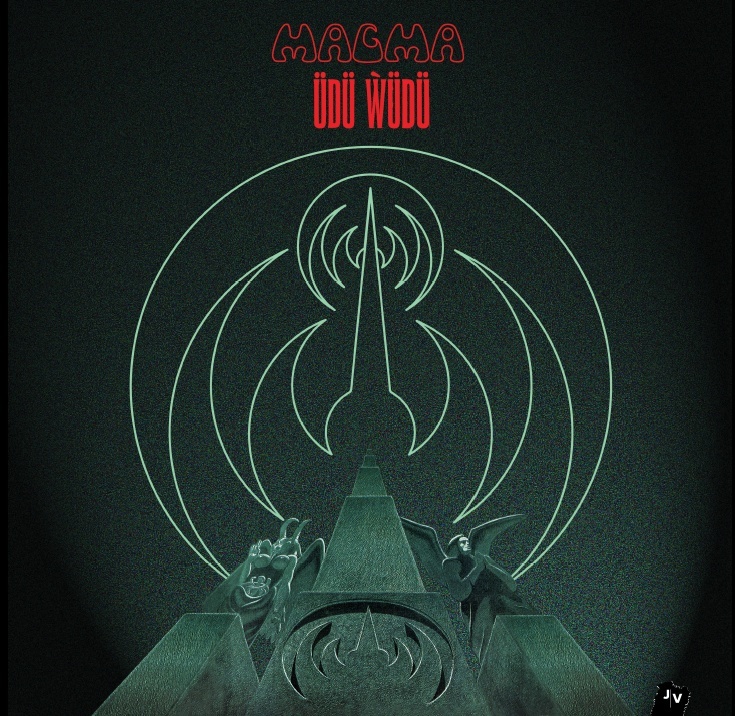 UDU WUDU (1976) saw the return of Jannick TOP to the heart of MAGMA, a reunion desired passionately by Christian VANDER, who asked Jannick to collaborate as co-leader in the creation of this record. The new MAGMA line-up not being final at the time the recording took place, the basics of the work were laid down by VANDER and TOP, who besides their usual instruments brilliantly integrated the keyboard parts into the tracks. The musical voyage into which they draw us is performed in two sections, the first containing short pieces with diverse atmospheres and styles, which use the brass and flutes of the early albums, and the the second comprising the 18 minute composition by Jannick TOP, DE FUTURA. Completely dfferent in apearance, the two sections are in fact complementary, the first being designed to put the listener in the most receptive state of mind before the arrival of the music cataclysm represented by DE FUTURA. A monumental work, this piece generates, by means of the titanic force of the bass and drums, an incredible power which gives it the unquestionable status of a mythic work.